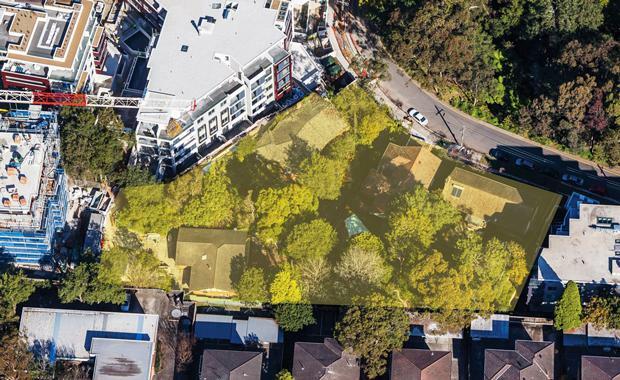 A residential development site (STCA) near the vibrant Lane Cove village on Sydney’s lower north shore has been sold for $19.75 million by Ray White Commercial NSW in conjunction with CBRE. The property at 84-90 Gordon Crescent, Lane Cove North, was marketed by Jeff Moxham and Scott Timbrell of Ray White Commercial NSW, along with Ben Wicks of CBRE. Mr Moxham said the purchaser Apex Property International Pty Ltd is preparing to submit a Development Application (DA) which could yield approximately 85 apartments.